Support ultra large paper roll up to 150 mm diamemter . EP802-TU is the latest generation of ATMs, Kiosks and ticket printers with high speed 250 mm/s and a very small footprint. EP802-TMP printer module is adopted ROHM dot line thermal mechanism and all-in-one concept . 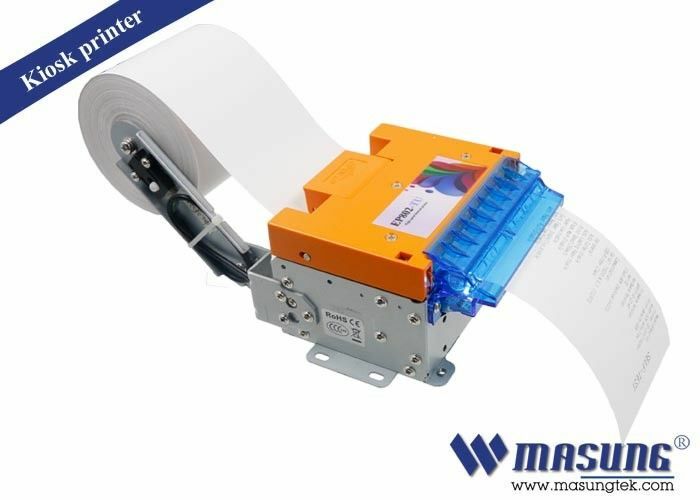 The control board and the printer head fully integrated ,greatly saving the installing space.The printer comes with feed button and indicator .In additional ,it supports easy paper loading and auto cutting. The paper will feed automatically when pressing the FEED button .Its software ,hardware and outside structure are completely compatible .Retracting way ,paper arching height and paper presenter ejecting receipt time waiting can be setup by commands ,which improves terminal user experience.